Just after W.W.II, an American takes a railway job in Germany, but finds his position politically sensitive with various people trying to use him. A director and screenwriter pen a script and, in the process, blur the line between fiction and reality. A cop in a dystopian Europe investigates a serial killings suspect using controversial methods written by his now disgraced former mentor. An IT company hires an actor to serve as the company's president in order to help the business get sold to a cranky Icelander. A woman on the run from the mob is reluctantly accepted in a small Colorado town. In exchange, she agrees to work for them. As a search visits the town, she finds out that their support has a price. Yet her dangerous secret is never far away. Filmmaker Lars Von Trier challenges Jørgen Leth, the filmmaker behind The Perfect Human (1967), to remake his classic short under circumstances of increasing constraint. Lawrence Hartmann: Mr. Kessler, did you know that many factories in Germany were owned by Americans during the war? This is the fifth von Trier film I have seen. I believe that he is the only director to whom I have given such a high score on all his movies. Four of them, The Element of Crime, Europa, Breaking the Waves, and Dancer in the Dark, I have given a 10, and one, The Idiots, I have given a 9 (and I have been reconsidering whether to give it a 10 since I first saw it, although I'd like to see it once more before I do). He has been chided for calling himself one of the best working directors. I tend to agree with him. I cannot blame him for being arrogant when he has made such great films. In 50 years, when von Trier retires, he will be looked upon as the pre-eminent film artist from Europe (perhaps from the planet), and there will be classes taught in his name. He simply is the Bergman or Fellini of our time. It is too bad the critics are too intrigued with themselves to notice this. About Europa itself, I'll admit that it was confusing and that its narrative did not seem strong. I think that's the point. This film was obviously meant to represent a nightmare, or the subconscious at some level. This is absolutely clear from the framing of the film: Max von Sydow's narration. We are hypnotized, or von Trier is hypnotized, and this is our/his subconscious mind. I'm inclined to lean more towards his mind, since the degradation of Europe concerns me, an American, very little. This framing is also clear if you have seen The Element of Crime, an even more brilliant film than this (although I am disputing that in my mind; what Europa needs more than anything is a proper release on DVD, hopefully Criterion again, with theatrical aspect ratio and remastered sound and picture; then, I am fairly sure, this film would seem as great as any of von Trier's other films). 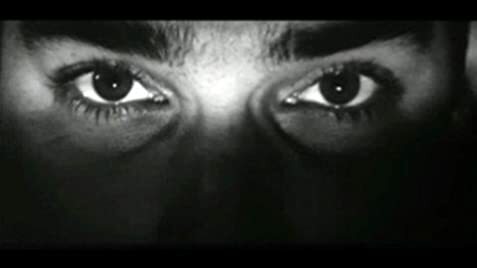 In The Element of Crime, the film begins with a hypnotist, whom we actually see on screen this time, is hypnotizing Fisher, a European detective who wants to get to the root of his mental anguish. The first words of that film are "Fantasy is okay, but my job is to keep you on track." And whenever Fisher, the narrator, gets off track, the hypnotist does chastize him and tells him to get back on with the story. He even laughs when a character is given a really silly and trite line. Something along the lines of, "Do you understand the difference between good and evil?" The hypnotist laughs and says, "Now, Fisher, she didn't really say that, did she?" 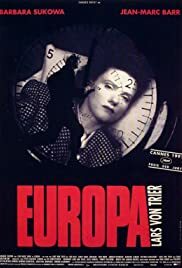 So the key to interpreting Europa, almost a sequel of sorts to The Element of Crime, is that we are deep in our/von Trier's subconscious, and the symbols there are to be interpreted within ourselves and will likely be different for everyone. What does the train itself symbolize? Consider it internally, and only then discuss it externally. Europa is a great film, a masterpiece. I was never bored by it, even though I watched it at 3 am. The perfect time to watch, actually, since it works in dream logic. 37 of 48 people found this review helpful. Was this review helpful to you?